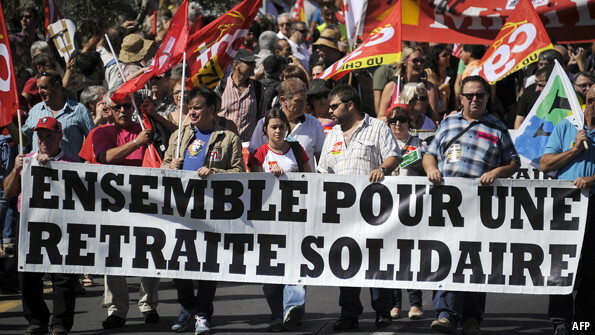 FRENCH unions are due to take to the streets again on March 18th for a day of action and protest. This time they will be campaigning for better wages and against the government’s plans to reduce corporate payroll taxes. Scarcely a month goes by without some French profession or other holding a demonstration, or manif. On separate days recently, trade unions representing midwives, civil servants and audio-visual technicians have each taken their grievances to the streets. Why are French unions so strong?